Law and Lawyers: "Double the powers of Magistrates" - said LCJ. 14 years ago, Parliament enacted section 154 of the Criminal Justice Act 2003 which raises the maximum to 12 months imprisonment for a single offence but the section has not been brought into force. It requires a "Commencement Order" and Ministers have not yet made such an Order. This is not a case of the Lord Chief Justice offering a new idea and increasing the sentencing powers of magistrates was recently endorsed by the House of Commons Justice Committee in its report on The Role of the Magistracy (see paras. 100-105). What then is the problem? Why not get on and do this? To try to answer such questions let's first look at some background. Cases in the Magistrates' Courts are handled either by a bench of (usually) three Justices of the Peace (JPs) or by a District Judge (Magistrates' Courts) who may sit alone. Trial in the Magistrates' Court is referred to as summary trial and over 90% of criminal cases start and end in these courts. They are courts of summary jurisdiction intended to deal with mainly the more straightforward criminal cases. 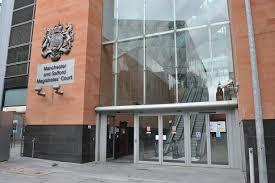 (The Magistrates' Courts also have certain civil jurisdiction but that is outside the scope of this post). The involvement of members of the public, whether as jurors or as magistrates, in the administration of justice is a long-standing tradition in England and Wales. JPs are members of the public appointed to this important and onerous role via a process administered by Advisory Committees. Legal qualifications are not required and they are advised on all points of law and procedure by a qualified legal adviser. Today, JPs are more diverse than ever and, whilst diversity concerns persist (see 2017 Statistics), they are undoubtedly the most diverse part of the judiciary. The overall number of JPs has fallen in recent years principally due to the extensive programme of court closures undertaken by the Ministry of Justice. They have to retire at age 70 and are unpaid but receive what are usually fairly minimal expenses for their attendance at court. The Courts Act 2003 requires JPs to undertake specified training (see Rule 31 here). They have to be specifically authorised (on behalf of the Lord Chief Justice) to sit in Youth Courts and in the Family Court (Rules 32-36). JPs are also subject to an appraisal scheme (e.g. Rule 12). Traditionally, training for JPs has extended beyond the minimum "required training" but such additional training appears to have reduced due to financial pressures imposed on the courts. District Judges (Magistrates' Courts) - DJMC - have to be legally qualified. They are the successors to Stipendiary Magistrates who were usually appointed to sit in the Magistrates' Courts in the larger cities such as Manchester and Birmingham. In April 2017, the Judicial Appointments Commission advertised for 17 further DJMC with a salary of £107,100. At the time of writing there are 132 DJsMC in England and Wales - an annual salary bill exceeding £14 million. DJMC receive training on appointment and on-going training is also provided. The Judicial College has responsibility for judicial training. Cases handled by the Magistrates' Courts vary considerably in their seriousness. There are numerous summary offences triable only in the Magistrates' Courts. Very serious cases (e.g. murder) are triable only on indictment in the Crown Court. There are also many "either-way" offences (e.g. theft) which can be tried in either court and an Allocation Decision is required. Guidelines have been issued to assist with that process. New guidelines came into force from 1st March 2016 and, as the Justice Committee noted, they need time to settle down - (para 105 here). The guidelines indicate that either way offences should be tried summarily unless (a) the outcome would be clearly in excess of the court's powers or (b) the case is of "unusual legal, procedural or factual complexity." Obviously, an increase in sentencing power would enable the Magistrates' Courts to handle either-way offences of a much more serious nature and such cases may require longer trials due to, for example, the number of witnesses or the need to obtain rulings on legal points. The very important constitutional right to jury trial comes into play in relation to either-way offences since the accused has a right to choose trial by jury in the Crown Court. This important right ought to be defended by politicians but, from time to time, it has come under attack in the pursuit of an agenda of cost-cutting and supposed efficiency. Interestingly, the House of Lords has tended to be the better champion of trial by jury. Earlier this year, Lady Justice Hallett called for abolition of the right to elect for jury trial in some "petty crime" cases - The Telegraph 24th May 2017. In general, there is no absolutely clear division between the work that can be handled by a District Judge (Magistrates' Courts) or by a Bench of JPs. However, under a Practice Direction, certain types of work either must be handled by a DJMC (e.g. Extradition, Terrorism, Prison Adjudication) or are considered more suitable for trial by a DJMC (e.g. lengthy cases or where the case involves complex points of law or evidence etc). For the detail please see Criminal Practice Direction 2015 Division XIII at Annex 1. A noticeable trend is that any case involving a "celebrity" always seems to come before a DJMC - e.g. the recent Wayne Rooney excess alcohol case. In simple terms, to obtain legal aid for representation in the Magistrates' Court the defendant has to meet BOTH a means test AND an interests of justice test. 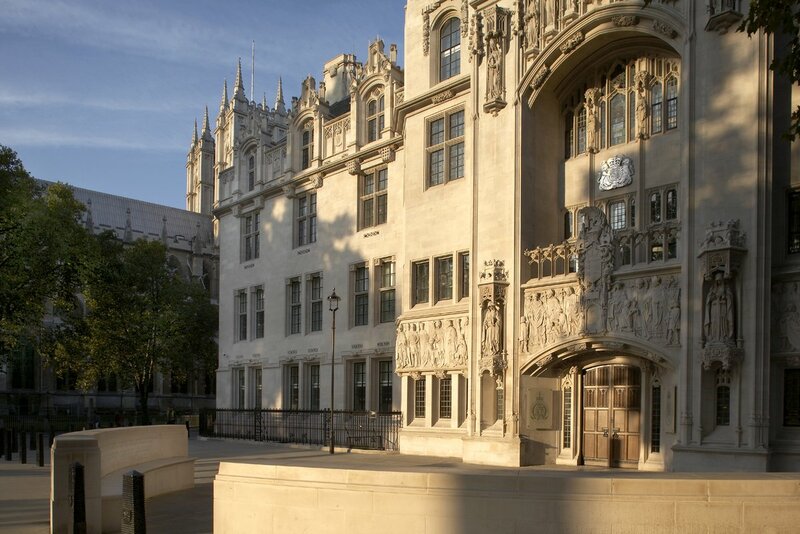 Legal representation seems to be rarely mentioned in the discussion about extending court powers but the unfairness involved in the present system of funding legal representation would be magnified considerably should Magistrates' Court powers be doubled. The Rules about legal aid require a 190 page Legal Aid Manual for a full explanation. Some recent posts on this blog have looked at serious concerns over Disclosure to the defence of material held by the Crown Prosecution Service (CPS) - see 30th August 2017 and 18th August. Those concerns relate to not only inefficiency on the part of the CPS but, crucially, they indicate a worrying culture in the Magistrates' Courts that seems to be unsupportive of defence efforts to achieve disclosure. The proper application of the Criminal Procedure Rules is essential and legal advisers to Magistrates ( and DJMC) should be ensuring that they are complied with rather than being, it appears, sometimes complicit in avoidance of their proper application. It is beyond doubt that England and Wales has a high prison population. On Friday 22nd September it stood at 86,220 against an operational capacity of 87,387. In 2016, around 68,000 individuals were sent to prison in England and Wales and almost half of those were sentenced to 6 months or less. The crucial issue here is that such short sentences are ineffective in terms of preventing re-offending and the system is failing to deliver satisfactory performance in its role of resettling short term offenders. Please see post of 25th September where the Prison Reform Trust's report Prison: The facts is considered along with a number of other official reports raising concerns about sentencing and how prisoners are managed. The use of Suspended sentences of imprisonment has increased markedly in recent years and these are often in the form of Suspended Sentence Orders where immediate imprisonment is avoided if the offender properly undertakes stipulated community requirements. Breaches of such orders accounts for some of the short term prisoner population. The Prison Reform Trust report notes a fall by 50% in the use of community sentences since 2006. Confidence is lacking regarding alternatives to imprisonment due to poor delivery of rehabilitation requirements. Recent reforms to Probation Service arrangements are not seen as resulting in significant improvements. So, does all of this point to a conclusion that a doubling of Magistrates' Court powers to imprison is a sound idea? There is a view that if the use of imprisonment were to be restricted to District Judges then all would be well since they would not impose imprisonment unless it was absolutely necessary - see, for example, Counsel of Perfection 19th September. For my part I respectfully disagree with that view. A properly advised bench of three JPs can be trusted with a power of imprisonment and, for the most part, the current power is exercised responsibly. It should be entirely possible to also trust them to exercise an extended power properly. Nonetheless, I do not think that an increase in powers is wise unless and until problems with Magistrates' Court procedure are sorted out and until adequate legal representation is made available to all defendants appearing in the Magistrates' Court. Even then, the government ought to be putting right problems with alternatives to imprisonment and ensuring that rehabilitation of prisoners is significantly improved. This will require an honesty on the part of Ministers who need to admit the failings of various recent policy decisions and legislation.